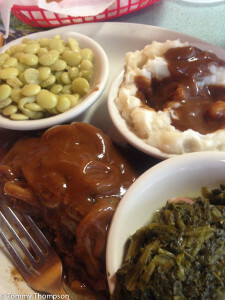 “Meat and Three” restaurants are a southern tradition. In many parts of Florida, they’re dying out and being replaced by fast-food enterprises, especially in the more urbanized areas. But if you’re traveling through (or hopefully stopping in) our 11 county Natural North Florida region, you’ll find several of these classic eateries. 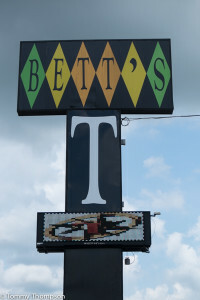 A good example is Bett’s Big T in Chiefland, in Levy County, on US 19. It’s the source of a great meal served by seasoned waitresses–and always with a smile. Bett’s is also located within a short drive of two of our favorite State Parks and swimming holes, Manatee Springs and Fanning Springs. 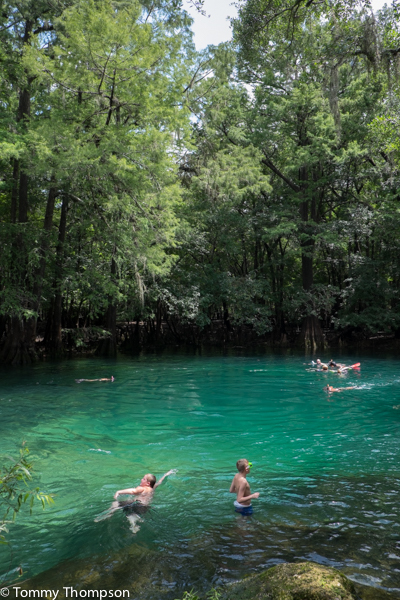 If you believe the legend that “you shouldn’t go swimming for at least a half-hour after you eat a big meal” you might want to save your visit to Bett’s for a day when you’re not going to the springs. Plates here are heaped with real Southern “cookin'” and always accompanied with rolls, cornbread (the real stuff!) and butter. On the menu of daily specials, you’ll find great things like fried mullet, hamburger steak and liver and onions. And they even have macaroni and cheese, which to many visitors’ surprise, is considered to be a vegetable in the American South! 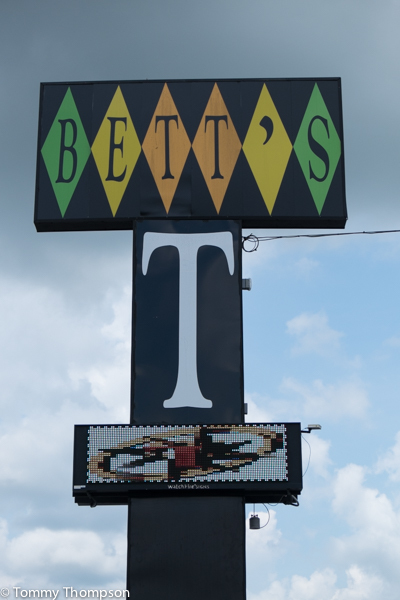 Bett’s isn’t fancy, but the food sure is good! A recent lunchtime special: hamburger steak, real mashed potatoes, lima beans and mustard greens! The menu changes daily, but on weekends you can take advantage of several all-you-can-eat seafood specials. They also have sandwiches, fried chicken and seafood on the regular menu, so everyone can find something they like. 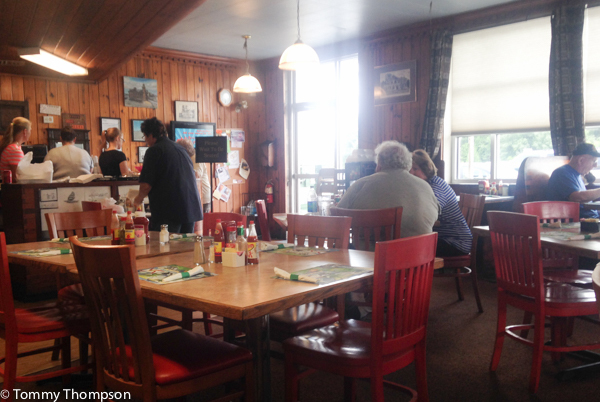 And don’t forget that Bett’s is also open for breakfast, serving first-rate pancakes!